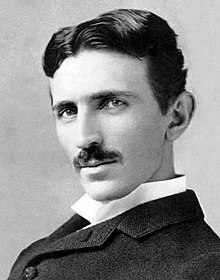 Those of you who follow my Twitter feed know that I recently finished reading a book called My Inventions by Nikola Tesla. Before reading this book, I had a nominal knowledge of Tesla. I read a short biography on him back when I was in high school, and I was aware of his hero status on the internet, but reading his life story in his own words gave me a new appreciation for the man. This entry was posted in Authors, Books, Writing and tagged authors, Blogs, books, writing. Bookmark the permalink. Nice article. My husband, a physicist, an admirer of Tesla, and an eternal optimist, often reminds us failure is an option — one that teaches us much and can be a step along the way to success. I enjoyed this. I knew someone else who was an admirer of Tesla and had some interesting stories to tell about him, but I cannot clearly remember them. It certainly was a a good post on writing.